Vidya, Rajkummar and Irrfan win the best at Star Screen Awards 2017! Well-known Star Screen Awards began the award season on Sunday night in Mumbai. The awards honoured the best in Hindi cinema in the year 2017. Vidya Balan’s Tumhari Sulu won big bagging three awards including one for the lead actress and one for its debutant director. Vidya Balan won the Best Actress award for her portrayal of a spirited housewife who turns an RJ for a late-night show in Tumhari Sulu. Neha Dhupia, who essayed Vidya’s boss in the movie, won the Best Supporting Actress award. 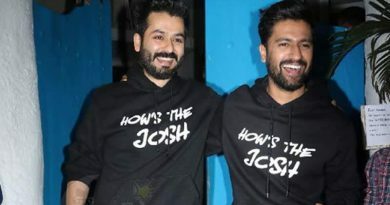 The film’s director Suresh Triveni, won the Best Debut Director award. ← Salman reveals about his first encounter with Katrina! 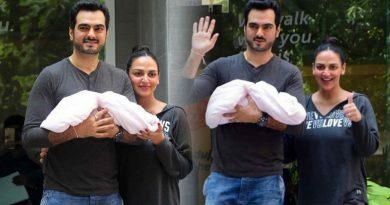 Esha Deol and Bharat Takhtani welcome a baby girl! Shraddha has tough time for Saina Nehwal biopic’s preparation?